A versatile actress of stage, film, and television, Ella is beloved as Eleanor from the TV show "Roc", and Jasmin on ABC's "My Wife and Kids". Film roles include Sarah in Tyler Perry's "TEMPTATION: Confessions Of A Marriage Counselor", Sister Watkins in Warner Bros. "PREACHER'S KID", "Detective Waller in New Line Cinema's action film "SET IT OFF"; the Nurse in "BUBBA HO-TEP"; the Mother in "SELMA, LORD SELMA", and an hilarious cameo in "OUR FAMILY WEDDING". Independent films include "NINA", "UNCLE P" , "FORBIDDEN FRUITS", "WHO MADE THE POTATO SALAD", "DEAD OF WINTER", "SECOND CHANCE CHRISTMAS", and LUCKY GIRL. Ella delivered a noteworthy dramatic appearance in TLC's award winning "WATERFALLS" music video as "the lonely Mother gazing out of the window", and the heartbroken Mother in a very poignant episode of "BEING MARY JANE". Extensive legitimate Theatre work includes a recent OVATION Award for the role of Ruby in August Wilson's "King Hedley II" at The Matrix. She also world-premiered the same play in the role of Tonya at the Pittsburg Public Theatre. A deeply experienced August Wilson actress, Ella Joyce also world-premiered the role of Risa, in "Two Trains Running" at Yale Repertory Theater, directed by master Director Lloyd Richards. Ella world-premiered the original role of Lily Ann Green in Lynn Nottage's "Crumbs From The Table Of Joy", at Second Stage, directed by Joe Morton, repeating the same role at South Coast Rep, and The Goodman Theater, directed by Chuck Smith, earning both a JEFFERSON Award, and a Black Theatre Alliance Award, along with some of the most wonderful reviews of a lifetime in the City of Chicago. Ella recently performed in her hometown at The Detroit Public Theatre in "Skeleton Crew" by Dominique Morriseau, to outstanding reviews. She has performed on many prestigious Equity Regional Theater stages around the country which include The Old Globe (San Diego), South Coast Rep (Costa Mesa), Second Stage Theater (NYC), The Huntington, Seattle Rep, Pittsburgh Public O'Reilly Theatre, The Goodman Theatre, and The Yale Repertory Theater as a professional. Urban Theatre credits include James Bronson's "Willie & Esther", Gus Edwards' "Louis & Ophelia", Neil Simon's "Barefoot In The Park", Ron Milner's "Don't Get God Started! ", Yolanda King's "Steppin' Into Tomorrow", and Ron Milner's "Checkmates" at the Bermuda Arts Festival with Ruby Dee. 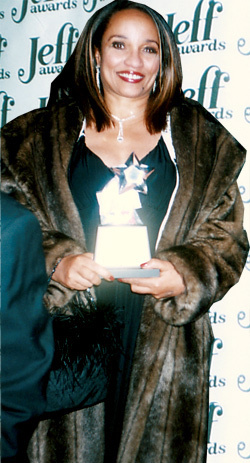 Ella is the recipient of many acknowledgments including an early Best Actress AUDELCO Award in New York for Ira Jeffries' "Odessa", several NAACP Image Nominations for "Roc", and an NAACP nomination for BET's Children Program "Storyporch" - reading aloud the classic tale "Beauty & The Beast" to a classroom full of mesmerized children. 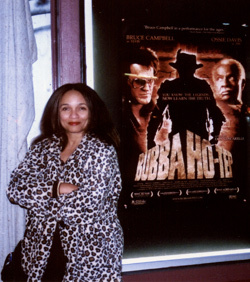 She has contributed her voiceover talent to audible books-on-tape among which is her performance of the voice of Zora Neale Hurston in Ron Milner's "Ruby McCollum Story", and the voice of Anita Hill in "Unquestioned Integrity" both produced by Susan Lowenberg's Los Angeles Theaterworks starring Ed Asner & Paul Winfield. She recently completed "Conversations With My Mother" written & directed by Ernest Thomas. Ella recently performed in a podcast production of "Bronzeville" produced by Laurence Fishburne and Larenz Tate. Ms. Joyce has graced the covers of many magazine publications such as JET, Black Elegance, Upscale Magazine, and was featured in TV Times. She is the recipient of two Spirit Of Detroit Awards, The Key To The City of Ft. Lauderdale, the NBTF Special Recognition Award for her Contributions to American Theater from the late Larry Leon Hamlin, and an "Actor Of The Year" Award from the Houston Ensemble Theater, among other community acknowledgements. Ella occasionally serves as an Acting Coach and private mentor, taking students upon referral. Ella received the prestigious Beinecke Fellowship at Yale School of Drama while performing in the world premiere of a new play "Bossa Nova" by Kirsten Greenidge. As a dance enthusiast armed with unbound energy, Ella has given a trademark birth to her own dance-exercise technique called FunkacizeTM. - a recreational activity aimed at preserving American dance culture, improving Soul music appreciation, and maintaining body flexibility for aging adults. Visit www.funkacize.com for more info. Ella Joyce is managed by LANDMARK ARTISTS MANAGEMENT located in Burbank, California, and is represented by AMT Artists, Inc.
"KINKPHOBIA JOURNEY THROUGH BLACK WOMAN'S HAIR"